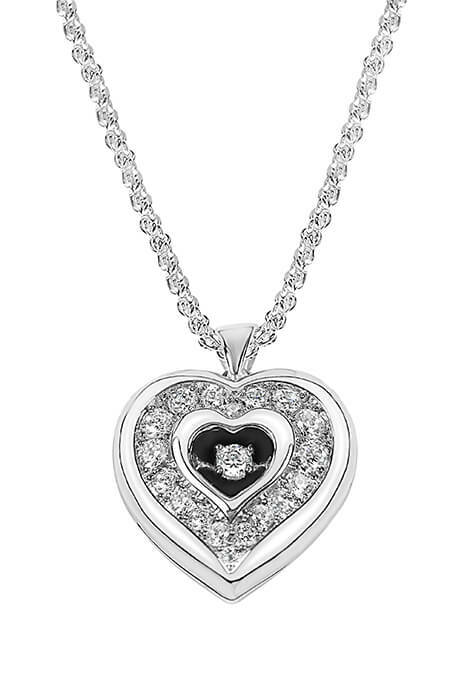 Make any day special with this dazzling heart locket. Silverplated heart features a brilliant floating cubic zirconia surrounded by 17 smaller CZs. Locket opens to reveal a frame inside for one picture, keeping your favorite photo in your heart. Locket can be personalized on the back. Makes a beautiful gift! Specify name: 1 line, up to 9 letters/spaces, upper/lower case. Silverplated brass 3/4" wide x 3/4" high heart resists tarnishing and includes a 17 1/2" long rope chain with lobster clasp. Allow 4–6 weeks for delivery.